If you’re planning to travel in the Polaris Business Class cabin on United Airline’s Boeing 787 Dreamliner, your experience may vary considerably depending on where you sit. United presently operates two variants of the Dreamliner, the 787-8 and 787-9. The airline will also begin service in the next year on the 787-10, though preliminary reports indicate the 787-10 will be equipped with a variant of the new Polaris seating product currently used on the 777-300er. The 787-8 and 787-9 are both equipped with the B/E Diamond offset lie-flat seats first introduced by Continental Airlines in the mid 2000s, in a 2-2-2 configuration. 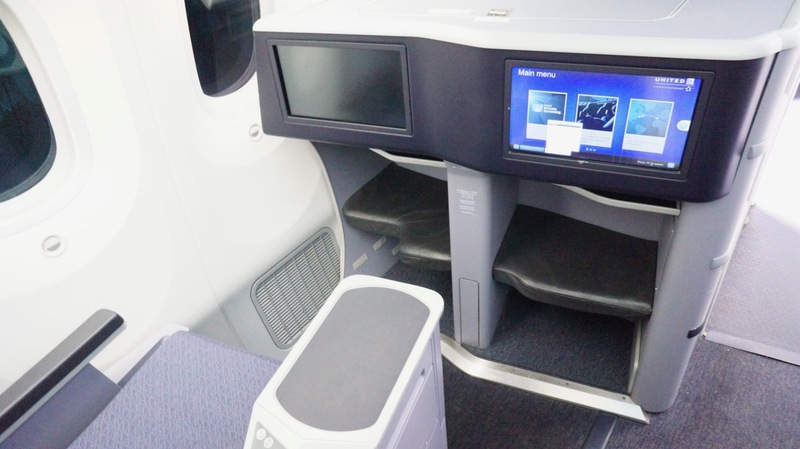 Other than the new Polaris seats, these are (still) the best business class seats in United’s fleet. Their design presents some unique quirks that diminishes legroom in some of the seats. You’ll want to consider your exact seat location carefully if you’re trying to maximize leg and sleeping space on the Dreamliner. I had the chance to get intimate with a Dreamliner at United’s annual Family Day picnic in San Francisco last weekend. Here is my (somewhat subjective) analysis of the best and worst business class seats on the aircraft. Update: This analysis applies to ex-Continental Airlines ordered Boeing 787-8 and 787-9 Dreamliners (the seating installed is a version of Continental’s BusinessFirst seat design). United’s new 787-10 Dreamliners feature the United Polaris seating product, which is different than the seating discussed in this article. United has plans to slowly retrofit all of its Dreamliners with Polaris seating beginning in late 2019. On some of United’s aircraft — specifically the Boeing 747-400 and 767/777 variants that feature three cabins — the bulkhead row seats are no different from every other row. Not so on the Dreamliner. The photograph on the left is a standard set of seats in the center section of the aircraft. The photograph on the right shows the difference in bulkhead space. For a different illustration of the difference in the size of footwells in the bulkheads compared to those in every other row, here’s a pair of photographs featuring my size 13 shoes. I could easily turn on my side or have my feet rest at an angle in the bulkhead row. In the normal seat, forget about any wiggle room. The B/E Diamond seats are installed at an angle, with rows near the window facing the window and the pair of seats in the center facing toward the right side of the aircraft. Not only is the forward-most footwell not constrained between two seats, but the angle of the seat creates a deeper space for your feet to rest. The forward footwell ends up slightly larger than the rear footwell, enough to make a difference if you’re tall or big footed (or both). The footwell on the forward-most seat in a seat pair (right) is slightly larger than the footwell on the left, which gets sandwiched in between the forward passengers. The effect is the same for seats near the window. The window seats have slightly larger footwells than the aisle seats, which are sandwiched between the two seats in front. The two easiest programs to book United business class seats, anywhere, are Chase and United. Chase’s Ultimate Rewards program allows Sapphire Preferred and Reserve cardholders to transfer points directly to United. It also offers great versatility, as the points can be transferred to over 10 different airlines. Like the United cards, both Sapphire cards often come with new cardholder bonuses that can secure a business class seat. It’s also possible to book United flights using American Express points from premium travel cards like The Platinum Card, which can also offer heft intro bonus offers substantial enough to pay for a business class seat. While American Express Membership Rewards points can’t be transferred directly to United, they can be transferred to United’s Star Alliance partners, Air Canada Aeroplan, ANA MileageClub and Singapore KrisFlyer. 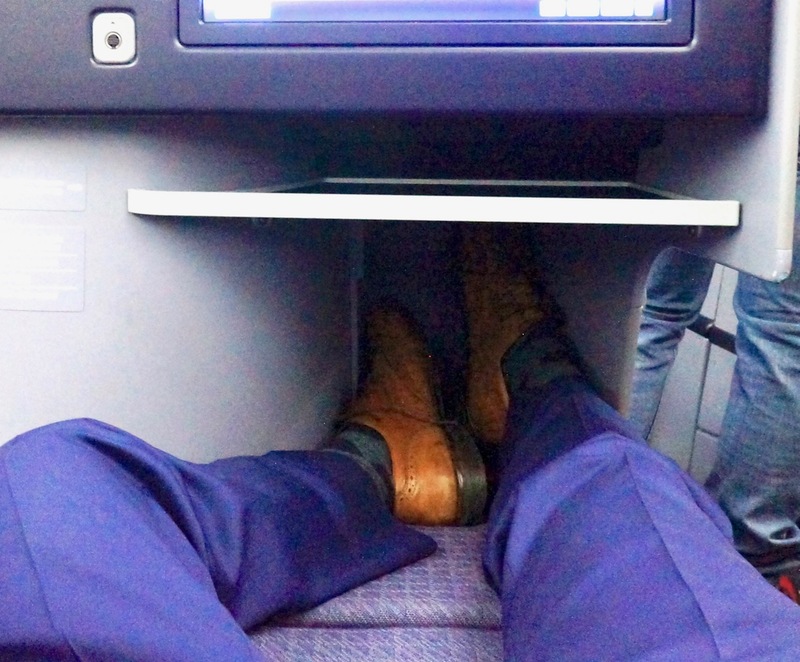 Any business class seat is an improvement over an economy class seat, and for shorter and smaller passengers the difference in footwell size might not be noticeable. However, if space is important remember to look for bulkhead seats and seats with a footwell not constrained by the center console. The following maps, first for the 787-9 and second for the 787-8, highlight the most desirable (green outline) and least desirable (red outline) seats on United’s Dreamliner fleet. What’s youre favorite place to sit on the Dreamliner? Share in the comments below. I flew 4D on a 787-9 for 14 hours (MEL to LAX) and found it delightful. I’m 5’6 and have smaller feet than you do. My point- your criteria aren’t the same as mine. I guess there are times when it must be great to be small. As a six-foot-plus traveler with size 13 feet I appreciate this information. I have flown on a United 787-9 LAX-MEL-LAX in seat 2E and found the footspace completely too small and uncomfortable. What is the difference in size of footwell in row one business 787-9 between the two center seats and the aisle seats. The bulkhead footwells are all exceptionally large. If there is a small difference between them, it wasn’t enough for me to notice 🙂 Enjoy your Dreamliner flight! I flew in 6E on the 787-9 from SYD to LAX. Of course I should have nothing to complain about, but I had flown to Auckland a few weeks earlier in 6E on the 777-300 with the new Polaris seats. The new Polaris seats on the 777-300 are amazing and make the 787 seats look like coach. The Polaris seats on the 777 are like your own little cocoon. more a question than a comment. does the little divider window come out? or maybe collapse in? my husband and i are in6A+B and like to feel close to each other, hold hands and talk. can’t seem to get an answer anywhere!!! There will be no hand holding in these seats. They are physically separated by probably 4 feet when you count the circumfrence of the divider. They are designed to feel like entirely separate pods and create a semblance of direct aisle access. thank you. i appreciate it. it’s too bad for couples in the front of the plane. a real quality problem, obviously. but my husband and i really like each other. we like to sort of drink and eat and hang. can’t find any seats conducive for that! still excited about united polaris!!! If you’re flying on the 787-10, you will enjoy the new Polaris seats. The center seats are so-called “honeymoon” suites, which are side-by-side. United plans to start retrofitting its other 787 types later this year. About to fly SFO-SIN in a couple of weeks … and see that, by chance, have picked a good seat in 1K. After reading your review, am tempted to look for one of the middle set of seats in either 1 or 6. Only thing that concerns me is that I’ve heard that the little shelf there becomes a snack bar for during the flight – which implies some traffic. Is that the case?? I flew SFO – AKL on a 777-300 in seat 9G and SYD – LAX on a 787-9 in seat 6E. Both are the bulkhead seats in the second Polaris cabin. The snack bar is not put on the shelf in the front of the seats. It is put on the other side of the bulkhead wall in the galley. I highly recommend these seats. The foot space is huge. I was not bothered by other passengers at all. Maybe it varies by flight. Flew TLV-SFO recently on a 787-9 and the crew *did* put snacks on the shelf in front of 1D/1E on my particular flight. I’ll be flying SFO-SYD on the 789 with wife in a few months, currently in 6DE, looking forward to a decent night’s sleep. Slightly concerned about what appears to be a coat closet in the bulkhead directly ahead of those seats, and the location of bassinets. Will be using ear plugs so noise probably not an issue even if someone in AB or KL has a baby, but looking for any personal experience with getting moved from a bassinet row to accommodate parents who need a bassinet. Does United do that for folks who book late? Would be seriously peeved to have selected these seats in Jan for an Aug flight specifically for the foot room, and get bumped into a different row. Lest anyone think I’m a kid hater, nope, I have 2 kids and they’ve been flying since they were babies, I just don’t want to lose the foot room and looking to mitigate the odds of that. I’m having a bit of trouble understanding your dilemma here. If you choose the bulkhead seats and noone with bassinets needs the seats, you sit in the bulkhead. If you choose the bulkhead seats and someone with bassinets requests those seats, you sit in other business class seats. 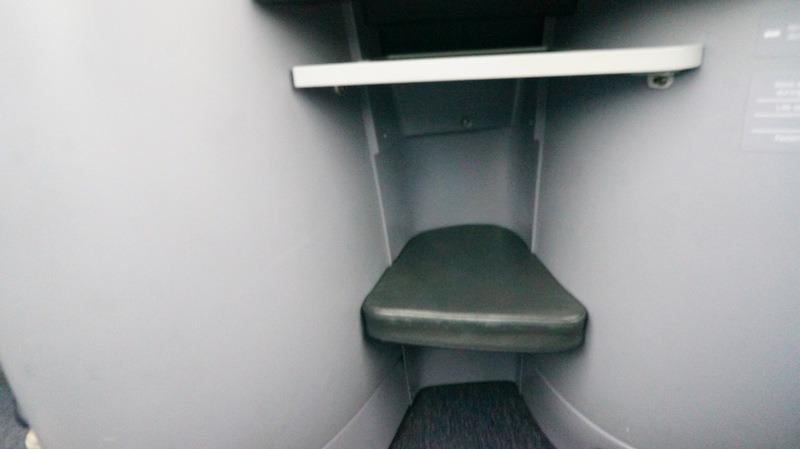 If you don’t choose the bulkhead seats, you sit in other business class seats either way. Hi, John. The dilemma is that the BH seats have much roomier footwells, and I need those to sleep comfortably; being moved to a different row would greatly impact my ability to sleep well. Yes, definite first world problem :> but since this is an anniversary trip for us I want it to be as great as possible. That said, I did some digging after posting my initial comment and learned from United’s website that the bassinets are over the AB and KL seats only, the DE seats don’t have a bassinet, so no problem for me.